In spite of being a multi-billion pound industry, the property sector is still dominated by antiquated processes. Filled with unsatisfactory practices for all those involved, dealing with property transactions can be incredibly confusing, especially for both first-time renters and buyers. There is a lot of time and money that could be saved, and thankfully the emergence of the PropTech market has disrupted the industry, and made significant contributions to re-defining how houses are being bought, sold, and rented. The definition of PropTech, or Property Technology is straight-forward; it simply refers to any technology designed to improve operations in the property industry. Moreover, all the new tools being developed in this sector are ultimately being created to empower agents and tenants alike. The property technology sector is making advances to transform every aspect of the business; this includes everything from how we buy our homes and manage our lettings, to how we design, build and market buildings and wider infrastructure. Following a trend started by Rightmove (2000) and Zoopla (2008), which began listing properties online in partnership with established estate agents, the rental sector shifted up a gear and began understanding that technology was an essential tool to meet clients’ higher expectations and changing needs. Renting is fast becoming the main way that people find a home. It’s predicted that by 2025, almost 60 per cent* of the UK population will be renting. This is up from 45 per cent in 2013, a 33 per cent growth or extra 7 million people entering the rental market. People get more and more used to buying goods online, and will increasingly look to purchase services online - ideally on the go, through their mobile device. Gone are the days of trawling through newspaper advertisements searching for the next place you’re going to call home. Instead, we have a generation of tech-savvy individuals who have grown up with smartphones, and have come to expect online solutions available at their fingertips. In order to meet their demands, this means the lettings industry will need to deliver for more and more people, with exacting standards, as renters will no longer be adjunct to a home sales business. Based on the above, the lettings industry must act quickly to remove some of the dated bureaucracy and paperwork that can make renting a home a cumbersome, lengthy process. It does not help agents’ reputation for proficiency and professionalism if it takes anywhere from 48 hours to four weeks to complete all the various checks - and tick all the necessary boxes - for a prospective tenant to move into a home. Where does Goodlord fit into this? Goodlord brings all these individual technologies together, streamlining the paperwork necessary to let a home quickly and efficiently in the UK. 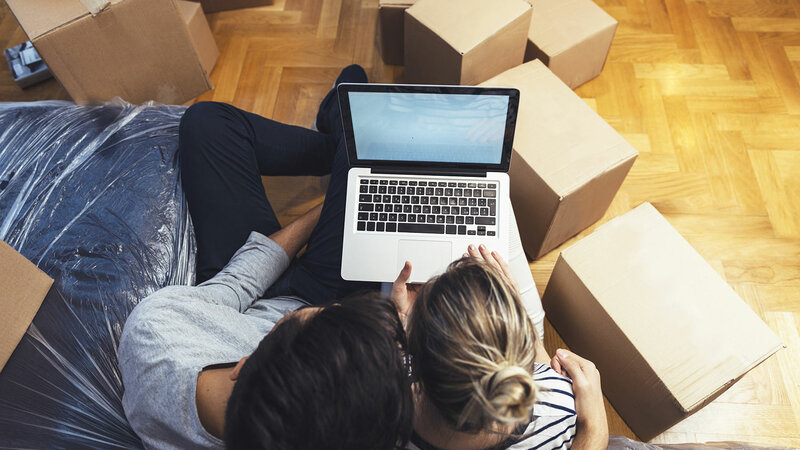 Our online platform means that letting agents can complete the whole moving-in process digitally and painlessly: create a tenancy agreement, get references, use e-signatures and securely collect the money, all through a single, cloud-based app. Goodlord is also developing additional services, for example rent protection, which can be easily accessed through the app. Putting more services into a tech platform should ideally make a landlord more likely to stick with the agent that offers that service, and offers that level of assurance. Agencies claim to spend 67 per cent of their time on manual admin work per tenancy. ** Technology, when used effectively, can cut admin costs and help win this time back. It will also free up agents to do more of what they do better than anyone else: bringing people together to strike a deal. How has technology already influenced the market? Moving away from the archaic, and often menial methods employed by estate agents, PropTech has already made leaps and bounds in bringing the housing market into a new era. By revising the way in which rentals are processed, technology has led to better relationships between tenants and landlords, caused a reduction in the time and cost of administrative tasks, and has refined processes to the point where agents now have more time and energy to put into business development. **Goodlord reporting and research conducted with UK agencies, October 2017.